Printerbase Black Friday Deals – Now On! Black Friday 2017 is over, find out more about Black Friday 2018 here. 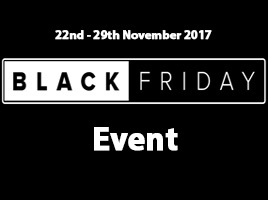 Black Friday is here again and here at Printerbase, we’re celebrating with a range of great Black Friday deals in our Printerbase Black Friday Event! We’ve got lots of fantastic offers you won’t want to miss out on. You can check out just a few of the great deals we have below, and you can view all deals in our Black Friday Event. Our Black Friday event is now over. Come back next year for more Black Friday deals and discounts! Huge Savings on Xerox Toner Bundles!